Seventeen-year-old Kath McKenny has a date to the end-of-term party with her since-forever crush. He publicly messaged her to confirm, but there's been a recent status update: he's taking the new girl—giggly, pretty, well-developed Lana Elliot—instead. 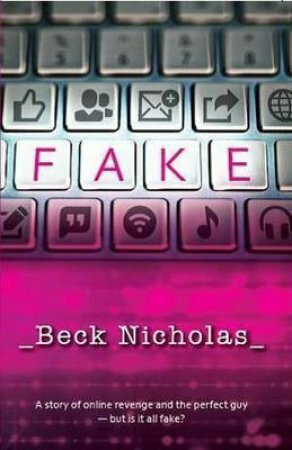 After being thoroughly humiliated in front of half the school, best friend Chay talks Kath into revenge: a scheme to create the perfect—and very fake—online guy for Lana. Once she falls for him, they'll show her what it's like to get brutally dumped. Everything is going to plan until Kath starts spending more-than-just-friends time with the other new kid in town—Lana's dreamy older brother, Sebastian. Kath finds herself getting in deep—in love and drowning in guilt, she tries to put an end to her prank, but it's taken on an unstoppable momentum of its own, with very real consequences.